Tasted 12/7/14 from a Riedel Tequila Glass. Appearance: Dark amber color. It looks well aged. Aroma: Cooked agave, oak, caramel, and spices. Initial Taste: Very smooth agave and oak with a smoky flavor. Caramel, ginseng, and other spice notes were also present. Body: Medium body with slow tears on the glass. It has a light, buttery mouthfeel. The flavors are complex but nicely balanced and compliment each other. Finish: Smooth medium-length toasted agave finish with caramel and spice notes that linger. Presentation: A tall and attractive bottle with a synthetic cork stopper. 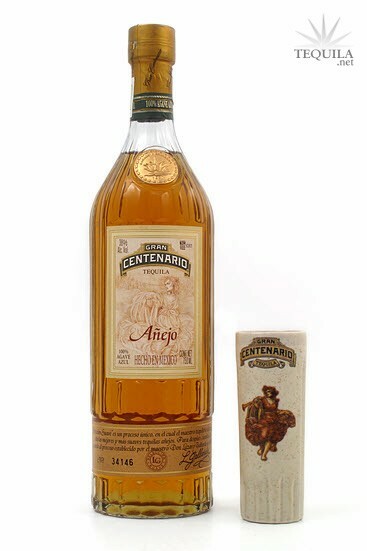 This anejo was aged for 18 months in lightly charred oak barrels. This process imparted a distinctive smoky or toasted oak flavor, which I enjoyed as it added to the complexity of this well-aged tequila. Overall, I found this to be a very nice sipper. The good news is you don’t have to pay the RRP of $59.99 as it is widely available and heavily discounted to the $25 - $30 range. At this price I will always have a bottle in my collection. Cant say this is a memorable line for me. Then again, Im not a fan of 1800 either and its from the same distillery. Aroma: Cooked agave, probably my favorite part of this tequila. Initial taste: A sweet entry with a slight bitterness. First taste is cinnamon. Body: Agave, earth, and cinnamon. Finish: A slightly heted finish with a short lingering of agave. A great value tequila that is usually pretty easily found as well. Aroma: Cooked agave and oak with a little bit of earth and spice. Initial Taste: Sweet initial taste with a bit of cinnamon spice. Body: Medium body where the flavors start compound for a really nice overall taste. Finish: A nice medium length linger with a bit of pleasant alcohol burn and spice that stays on the tongue. Considering this bottle can be found online many places in the $25-30 range, it's really a must have. It can hold its own against pricey tequilas, but is cheap enough to be an every day enjoyment. The bottle is unremarkable, but who cares if the juice within is good? For my money, this is the best tequila value on the market today. 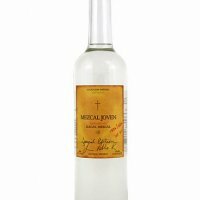 An excellent, smooth, full-of-agave-flavor bottle, and it runs under $35 at most liquor stores! Hints of vanilla, oak (of course), and cinnamon make this a very enjoyable pour. One of my favorites! I keep coming back to it again and again. GREAT price: 29.99 at BevMo--why? I don't know. It was 58 last time I bought it there. at 29.99 it is a rating of 99!